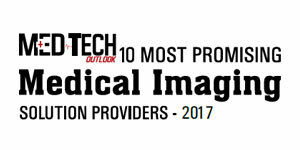 Home > Imaging > Vendors > EIZO, Inc.
Medical imaging has proven to be a revolutionary innovation in the world of healthcare. A study conducted by Medical Imaging and Technology Alliance (MITA) determined that mammography helped in detecting breast cancer in women aged 40 to 49 years at an earlier stage. This leads to minimally invasive surgery, less toxic chemotherapy, as well as lower rates of recurrence and disease-related mortality. As effective decisions on curative care are becoming dependent on correctly assessing the disease through diagnostic imaging, high-quality imaging for better diagnosis and treatment is paramount. “For greater diagnostic precision and advanced medical treatment, our monitors not only accurately reproduce medical images, but also maintain image stability with built-in sensors and software for controlling image quality,” points out Thomas Waletzki, President, EIZO. To meet the medical imaging needs of hospitals, EIZO’s RadiForce offers a wide range of monitors with 1 to 8 megapixel monochrome and color monitors. Enabling hospitals to handle larger volume of image data, RadiForce’s multi series monitors offer multi-modality for simultaneously displaying different images on a single monitor. “Users can select the type of medical images with appropriate resolution to ensure proper support for image resolution,” elucidates Waletzki. RadiForce’s G&R Series monitors not only display full chest X-rays and ultrasound images, but also support digital imaging for mammography ensuring detailed screening with high performance. In addition, “users can also view patient charts with MRI and CT images using the MX series clinical review monitors,” he adds. The monitors allow users to easily work with images and the widescreen ensure that they can use multiple windows at a time. Further, to maintain the overall quality of monitors, EIZO’s RadiCS and RadiNET Pro provide expert maintenance services for quality checks. This helps administration personnel to work remotely, saving both the time and expense of on-site visits and improves the speed of the QC workflow. “The quality of our products constitutes the foundation of the EIZO brand,” asserts Waletzki. An important aspect of EIZO’s vision is to render high resolution images with exceptional detail for doctors to increase work efficiency. “With complete understanding of customer requests and expectations, we focus on offering high quality products and services to clients,” says Waletzki. EIZO’s esteemed clientele consists of companies from industrial, graphics, entertainment, and medical markets. Catering to the needs of the American market, EIZO has served the American College of Radiology since 2008. EIZO has maintained this partnership by allowing the center to recreate true-to-life accounts, contributing to the best learning experience possible. With that, they required versatility to cater to the multitude of users and modalities to include PET, CT, Angiography, and Breast imaging. EIZO, again, fit the strict criteria that ACR required with the RadiForce RX440, a large format 29.8” LED Backlit diagnostic LCD solution. Japan based Utsunomiya Central Clinic is also a testimony to the capabilities of EIZO’s medical imaging solutions. The clinic uses EIZO RadiForce RX840-MG monitors to perform breast cancer examination and 3D breast tomosynthesis. The monitors display diverse images on one screen with parametric mapping that analyzes sonogram, MRI, and CT color images that help in early detection. “Now, with RadiForce, it has become possible to interpret images in early stages on a widescreen monitor,” comments Dr. Sato, Radiologist, Utsunomiya Central Clinic's Administration Board. “As a visual technology company, we look beyond monitors and find ways to enhance our products in order to provide a new imaging environment,” explains Waletzki. For the future, EIZO plans to expand its footprint by exploring new technologies and market trends. Additionally, the company will take a broader approach to quality management to encompass the entire imaging environment of customers.